Hi! I’m Summer, and I am the owner of Summer Johnston Photography based in Rawtenstall, Lancashire. I am thrilled to be the dedicated Photo Sensory photographer for Baby Sensory classes in Rochdale, Ramsbottom,Haslingden and Littleborough in 2019! I am looking forward to the opportunity to meet lots of local mums, dads and babies to create some beautiful baby photos as a wonderful record of your baby at this amazing age. When will Photo Sensory be coming to my class? What happens in a Photo Sensory shoot? 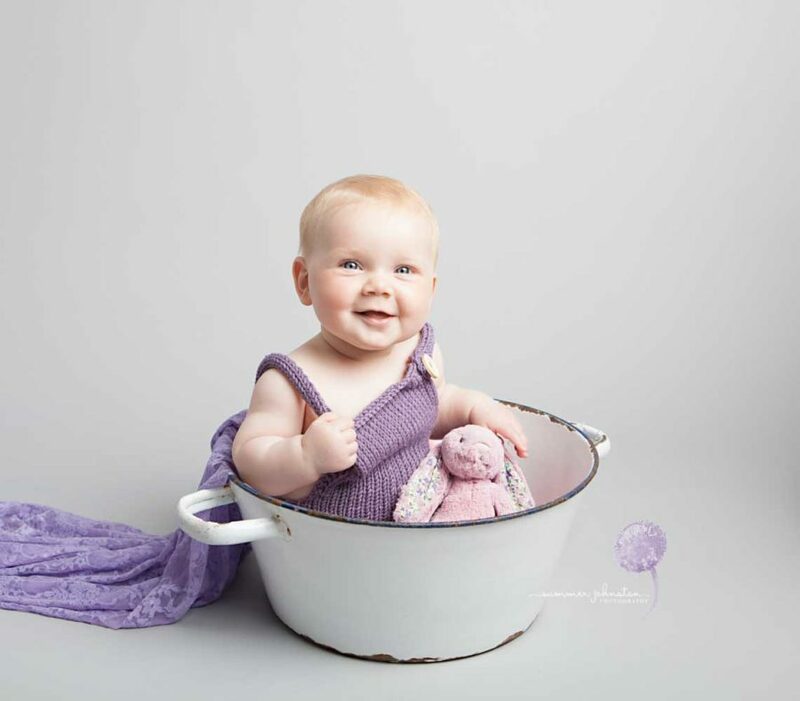 This age is such a wonderful time to capture beautiful portraits of your baby while they are still so young, yet so many of us don’t find the time to get round to booking a professional studio shoot. 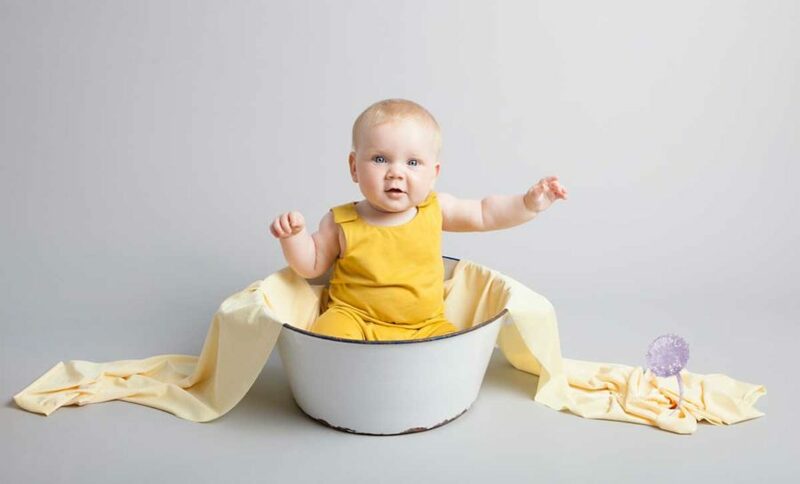 So, during the Photo Sensory session, I will set-up a pop-up photo studio where we can spend a few minutes with your baby, taking some beautiful professional photos. Your class will run as normal, except I will be set-up ready for you to pop over to my mobile studio with your baby for a quick photo session, lasting no longer than 5 minutes. If you wish to have some photos of your baby taken, I will be sending a list around at the beginning of your group which you can put your name on and my assistant will call your name when it’s your turn. I will bring along my backdrop and props which may be used, along with a couple of my favourite baby outfits too. 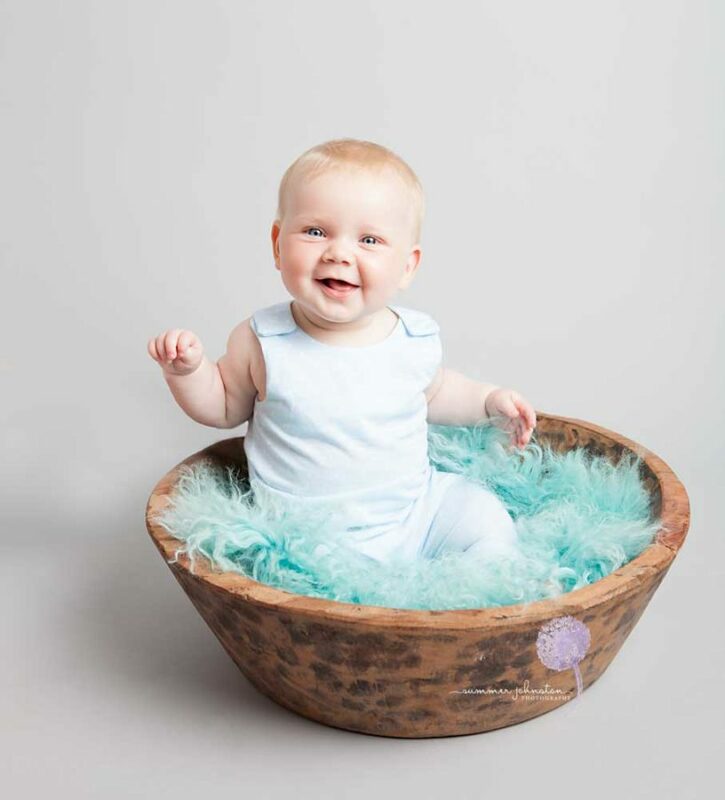 If you prefer, you can have your baby photographed in one of their own outfits instead. If you would like some advice of what to wear, I would recommend you opt for neutral colours, avoiding bold prints and logos. Whether your baby is sitting unaided, or is still lying down when not being held, I will create some beautiful photographs for you. When will I get to see the photographs? Once I have finished photographing, you will be shown the unedited images, from which you can choose to purchase, straight away. Please note, this is your only opportunity to purchase your favourite photos from the shoot and I will be accepting cash and card payments on the day. I will then go away and professionally edit your chosen images and provide you with your digital downloads and mounted prints 7-10 days later. You will receive an email prior to the class with a price list so that you can see what packages are available to purchase.